Would you like to spend an entire day with us in an Argentine ranch? 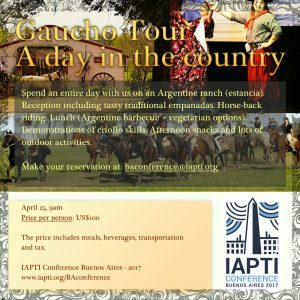 Enjoy tasty empanadas, horse-back riding, lunch (Argentine asado/vegetarian options) and demonstrations of criollo skills plus afternoon snacks and lots of outdoor activities! 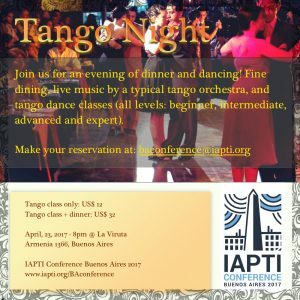 IAPTI events are never all work and no play. In fact, we’ve always known how to have a ball. That’s why we are organizing a special bus tour of Buenos Aires for our IAPTI 2017 conference–a chance to get to know this vibrant city while getting familiar with one another. Hop on the bus with us! Uncategorized	No Comments on Do you want to dance Tango? 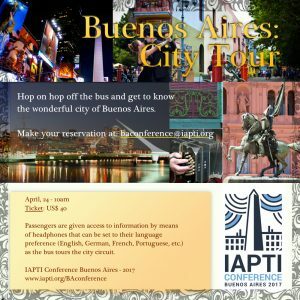 The program of IAPTI’s Buenos Aires conference is out! We’ve put together an incredible roster of more than 30 speakers for IAPTI’s 2017 international meeting in the worldwide Association’s home town of Buenos Aires, Argentina. Check out the details at https://www.iapti.org/BAconference/program/ and book your seat for the conference. Early bird rates valid until March! In addition to our renowned keynote and closing speakers, Carol Saller, Chicago Manual of Style Editor and author of The Subversive Copy Editor, and Erik Hansson, creator of Things Translators Never Say, we are proud to have accepted the proposals of a truly distinguished line-up of translation and interpreting professionals who will speak on topics of specific interest to the wide range of translators and interpreters attending the event on April 22 and 23 at the Hotel Claridge in downtown Buenos Aires. Here’s a preview of some of the subjects that will be covered during this exciting two-day event: taking the free-lance to employee plunge, working with direct clients, quality management in translation, interpreting informalities, CAT tools for T&I professionals, ergonomics in the office, translation analysis, a look at IAPTI’s African Initiative, acting tips to improve interpreting skills, interpreting diplomatic discourse, translator risk management, engagement in literary translation, medical interpretation, terminology management in group translating, online education, technological challenges, interpreter confidentiality, plain language, taboo language, free-lance partnerships, and much more. We look forward to sharing in this extraordinary two-day event with all of you. Sign up now to get early bird rates on both the conference and lodging! 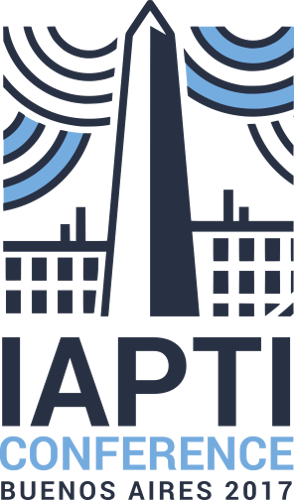 Uncategorized	No Comments on The program of IAPTI’s Buenos Aires conference is out!